I knew that when I went to China I wouldn’t be able to access social media – and that some websites would be inaccesible. 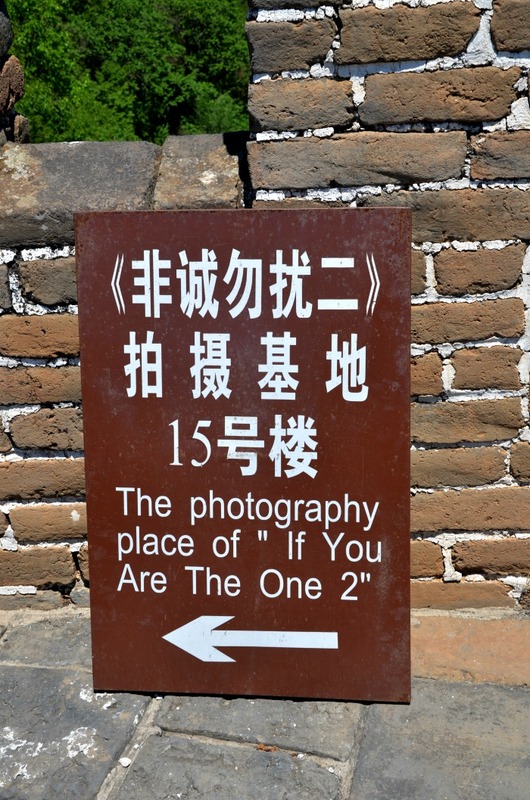 I was surprised to find that Instagram is allowed – and that became my way to share some images. 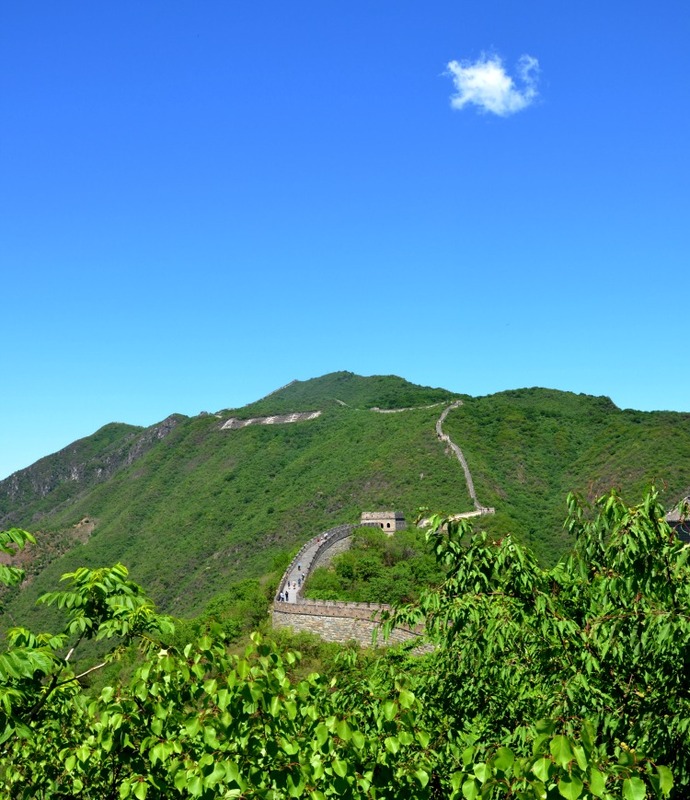 My first sight of this ancient monument was on a lucky day – clear blue skies and endless sun – which made for a hot and sweaty walk of the Great Wall – but worth every bit of tired feet, sore legs and endless drinking of water. 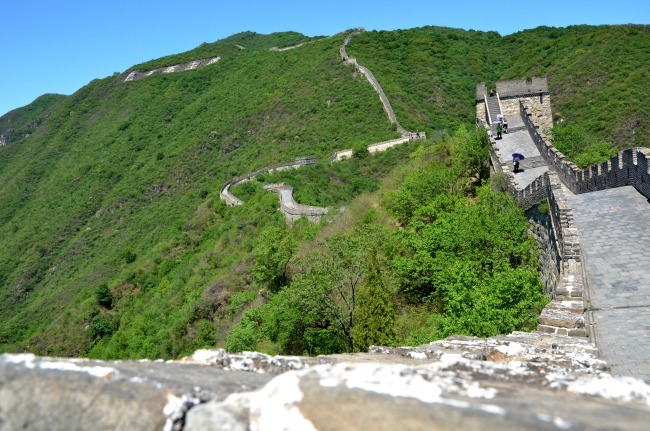 I was surprised by the width of the Great Wall – and that it wasn’t flat. It was a series of up and down, steep stairs and steep declines that followed the grade of the land and led to towers, which were shady respites from the endless sun. I tried to imagine what it would have been like to defend this area – walking or sitting for hours in this remote place – looking to see if any enemy dare try to scale the wall. I’m sure this child was curious of what could be seen from the small windows – as was I. Now the surroundings are quite lush – endless trees and bushes, with a few trails leading back down from the wall to the entrance. Like many, hitting a high point on the wall was always worthy of a stop – to drink some water, look for shade, and to gaze out at the view – a rare view of endless land, rare in a country that has pushed its population way beyond 1 billion. 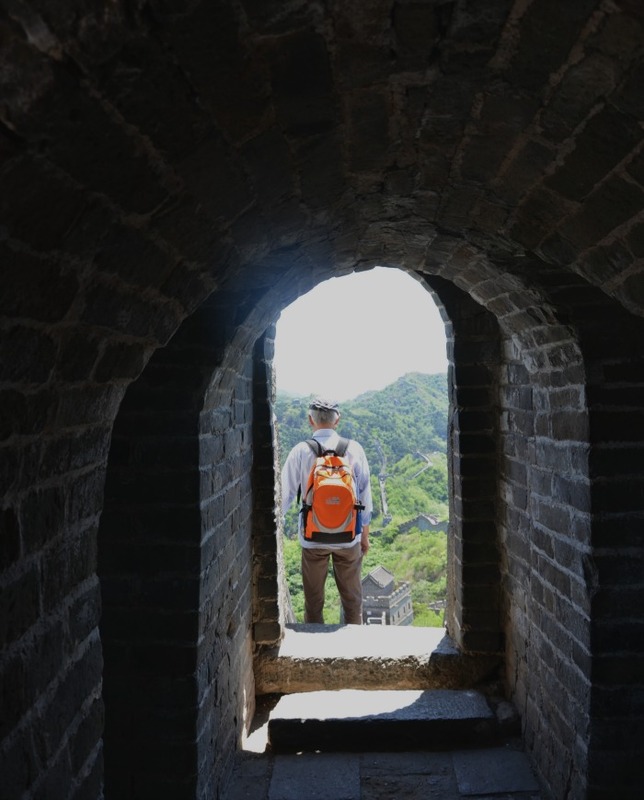 And although the wall is no longer one wall – the almost 3 kilometre piece that I got to traverse was definitely enough to strike awe and thrills within me – and I already knew I was the one for walking the Great Wall.